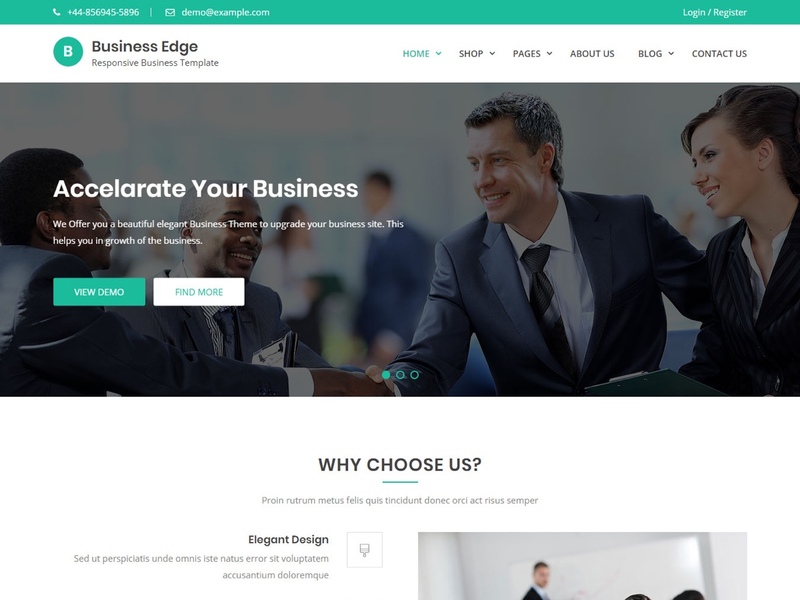 Business Edge is multi-purpose business HTML template. This responsive template is suitable for all type of business, corporate, portfolio, digital agency, eCommerce, online shopping, fashion, blog or any creative website development. Business Edge comes with full eCommerce pages so it can be used for eCommerce sites too. Our themes are crafted well to provide users optimal viewing experience, easy to read and navigate in all size devices. Forget device and enjoy full responsive features of our themes. Our products are publicly reviewed by reviewer at wordpress.org and available to use after it is approved by Key Reviewer. Thus our themes are highly optimized, secure and well formatted. Our world class designers are dedicated to create simple, minimal and attractive designs that look good in and out. Our design speaks your site’ objective beautifully. Our themes are based on customizer, widgets and addon to customize everything you needed. We believe you will find all themes easy to use and customize. We respect your time and money. Our dedicated support team provide instant support through online chat, support forum and emails if you get any problem to use our themes. We don’t trust on hidden stuffs. Get visible, get indexed and stay ahead of your competitors. Our themes are developed keeping SEO practices and standards in mind. Looking for WordPress theme customization?